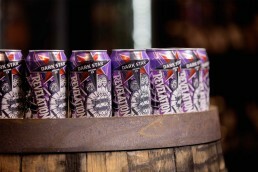 Brighton craft brewer Dark Star has been bought by Fuller’s, it was announced this morning. The full details of the deal have yet to be revealed, but the move came after a period of the two breweries working successfully together. It’s believed that Dark Star has been exploring various sources of financing to fuel continued expansion in an increasingly competitive market and that the acquisition was one of the alternatives being considered. Many commentators (including us here at Original Gravity) have predicted that 2018 will see a sharp increase in the number of craft breweries acquired by bigger players. While sales of craft beer overall continue to rise sharply, from a brewer’s perspective trading conditions are increasingly tough in a market that some estimates put at over 2,000 UK brewers. Dark Star was founded in 1994 in the cellar of Brighton’s Evening Star pub and went on to be a pioneer of the UK craft beer movement, with Hophead being an early champion of the US hop-forward pale ale style. Fuller’s, founded in 1845, has won respect for its stance on the burgeoning craft beer scene, becoming a founder member of the London Brewers’ Alliance, recreating old recipes from its archives and recently launching ‘Fullers & Friends’, a series of collaborations with breweries including Thornbridge, Cloudwater and Fourpure. Brewing will continue at Dark Star’s Partridge Green site, Managing Director James Cuthbertson will remain at the helm and the brewer will continue to operate as a standalone business.